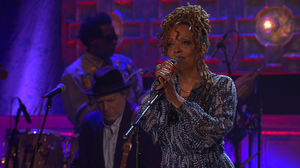 March 6, 2004  Grammy-winning singer Cassandra Wilson arrived on the music scene in 1990s with her innovative take on jazz. Wilson tells how her unusual approach has its roots in the music of trumpeter Miles Davis. April 8, 2015  An all-star house band stretches out behind Wilson's sultry vocal in this live performance of Willie Dixon's "I Want To Be Loved." April 5, 2015  On Coming Forth By Day, one of today's premier jazz singers pays an imaginative tribute to one of her idols, born 100 years ago. As Wilson says, a simple imitation "would be almost insulting." 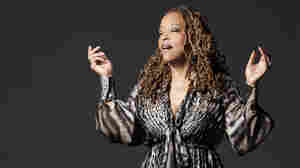 July 1, 2006  Jazz star Cassandra Wilson's latest album soars over a swirling array of musical influences. She tells Debbie Elliott about a work that pays tribute to the Native American spirit and the rich traditions of American music. 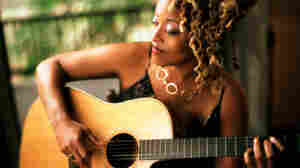 April 4, 2006  Vocalist Cassandra Wilson draws her inspiration for song from some unusual sources. That didn't stop Time magazine from naming her the best singer in America. Ed Gordon talks to the powerhouse singer about what drives her creatively, and about her latest CD, Thunderbird. 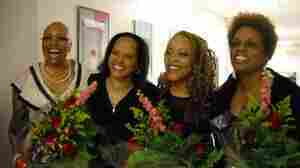 November 3, 2003  Jazz chanteuse Cassandra Wilson drops by the studio to discuss her new CD Glamoured. 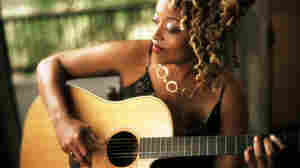 October 15, 2003  Grammy-winning singer and composer Cassandra Wilson has made a career out of using her jazz and blues skills to transform pop songs. On her latest album, Glamoured, Wilson applies her rich, husky voice to a variety of musical genres. NPR's Michelle Mercer has a review. May 17, 2002  Jazz critic Kevin Whitehead reviews Belly of the Sun, the new album from singer Cassandra Wilson (Blue Note records). August 31, 2012  The jazz singer plays songs from her new album, Another Country, which explores Latin music. 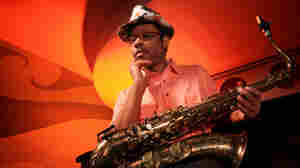 January 14, 2010  Wilson's Loverly won the 2009 Grammy for Best Jazz Vocal Album. With a wide variety of standards — from "St. James Infirmary" to "Til There Was You" — she stretches out on Loverly at the Chicago Symphony Center. February 8, 2007  Wilson, one of the top jazz singer-songwriters of the '90s, continues to make fine albums that draw heavily from her Southern background. She's constantly tweaked her sound along the way: Last year's Thunderbird even dabbles in hip-hop. June 16, 2003  Modern torch songs with Cassandra Wilson; the gloomy, introspective Lisa Germano; Christopher O'Riley's piano transcripts of Radiohead; have a day with The Polyphonic Spree and more.